The art of calligraphy is about the visual expression of words and style of writing, these cartridges are suitable for most fountain pens. Develop your skills and express your ideas through beautiful designs on cards, invitations and many home decor projects. 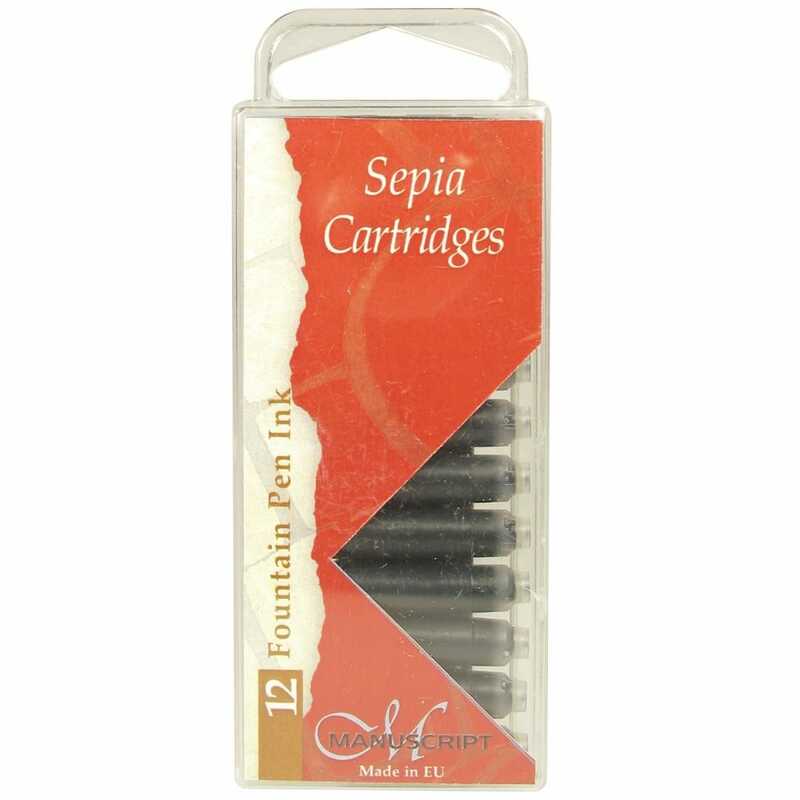 This pack contains 12 non waterproof sepia ink cartridges stored in a plastic holder.